In an unmarked office at the end of a dirt track, veteran activist David Kato labors to repeal Uganda’s homophobic laws and liberate his fellow lesbian, gay, bisexual and transgender men and women, or “kuchus.” But David’s formidable task just became much more difficult. A new “Anti-Homosexuality Bill” proposes death for HIV-positive gay men, and prison for anyone who fails to turn in a known homosexual. Inspired by American evangelicals who have christened Uganda ground zero in their war on the “homosexual agenda,” the bill awaits debate in Uganda’s Parliament. While most religious leaders in Uganda support the Bill, one lone voice from the Church is willing to speak out against it: Bishop Christopher Senyonjo, a purple-robed sage who has been expelled from the Anglican Church of Uganda for his theological defense of Uganda’s LGBT community. Armed with a PhD in human sexuality and a thorough understanding of Biblical scripture, this octogenarian doggedly continues his work to establish a kuchu counseling center and safe house in Kampala. 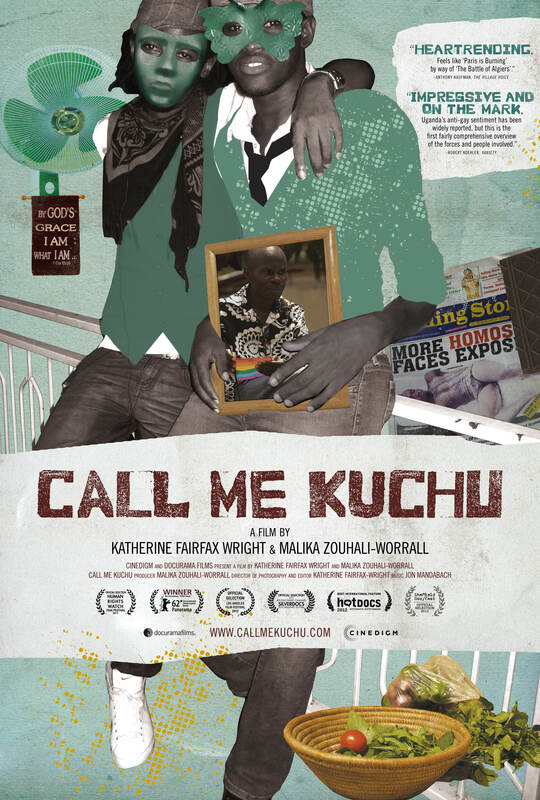 But one year into filming CALL ME KUCHU and just three weeks after a landmark legal victory, the unthinkable happens: David is brutally murdered in his home. His death sends shock waves around the world, and leaves the Bishop and Kampala’s kuchus traumatized and seeking answers for a way forward. With unprecedented access, CALL ME KUCHU depicts the last year in the life of a courageous, quick-witted and steadfast man whose wisdom and achievements were not fully recognized until after his death, and whose memory has inspired a new generation of human rights advocates. ©2012 Lindy Hop Pictures, LLC. Art and Design ©2013 Cinedigm Entertainment Corp. All Rights Reserved. Marketed and distributed in the U.S. by Cinedigm Entertainment.